Emir Usein-Kuku, Nariman Memedeminov, Server Mustafaev and many other Crimean Tatars became the target of repression of the Crimean occupation authorities, Foreign Minister of Ukraine Pavlo Klimkin said at a UN session on the situation in Ukraine. According to him, these people need the support of those who share the values of freedom and human rights. Klimkin called on the members of the UN Security Council and members of the organization to join the call on Russia to release prisoners of the Kremlin. The Ukrainian diplomat noted that Russia continues to ignore last year's decision of the International Court of Justice, which called for allowing the Crimean Tatar representative body - the Mejlis of the Crimean Tatar people - to act legally in the Crimea, as well as to allow Crimeans to be educated in the Ukrainian language. “Despite such a clear decision of the court, all the year Russia continues to prohibit the functioning of the Mejlis. The Russian Federation also ignores the resolutions of the UN General Assembly on the Crimea. Denying access to international monitoring missions in the Crimea, the occupation authorities force the Crimeans to serve in the Armed Forces of the Russian Federation," he said. Klimkin also called illegal the opening of the Kerch bridge, which violates the sovereignty of Ukraine. He thanked the countries that showed solidarity with Ukraine on this issue. The Foreign Minister also condemned the actions of the Russian Federation to change the demographic situation on the annexed peninsula. “A large number of people were resettled in the Crimea from the beginning of its occupation. The Russian Federation creates conditions for the migration of the local population. I want to remind the Russian delegation [at the UN] that this practice is an open violation of the Geneva Convention of 1949,” he said. 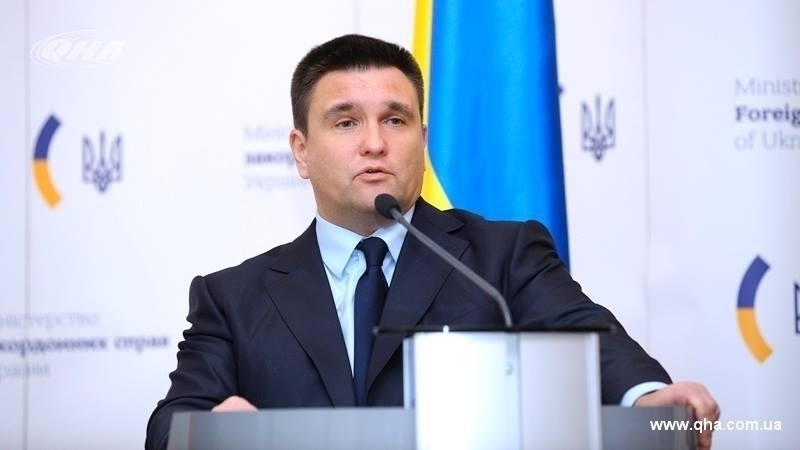 Klimkin also notes that the invaders are turning the Crimea into a military base and make flights from there to Syria, whose authorities recognized the "independence" of the self-proclaimed South Ossetia and Abkhazia. Furthermore, the Foreign Minister of Ukraine read a letter from the Crimean, Ukrainian filmmaker Oleg Sentsov, who has been on hunger strike since May 14, and called on the international community to influence the release of all the Kremlin prisoners. Note, that the session of the UN Security Council was completely devoted to Ukraine.